Did you know that micro-irrigation is so efficient that it is exempt from local water conservation codes and ordinances? This type of irrigation reduces water loss by slowly delivering water directly to root systems via a network of pipes and hoses. It is often called low volume or drip irrigation because of the slow release rate. This type of delivery system is good for newly installed plant material, garden beds, flower planters, and areas where runoff or evaporation are a concern. 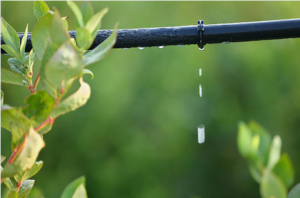 Micro-irrigation applies water right to the root system so weeds and diseases are minimized. The fittings and hoses are also adaptable so they can be changed when plant material matures or areas of the landscape no longer require direct water. You can even retrofit your existing in ground system to run an above ground micro-irrigation setup. This does require a bit of know how – and that is where we come in. 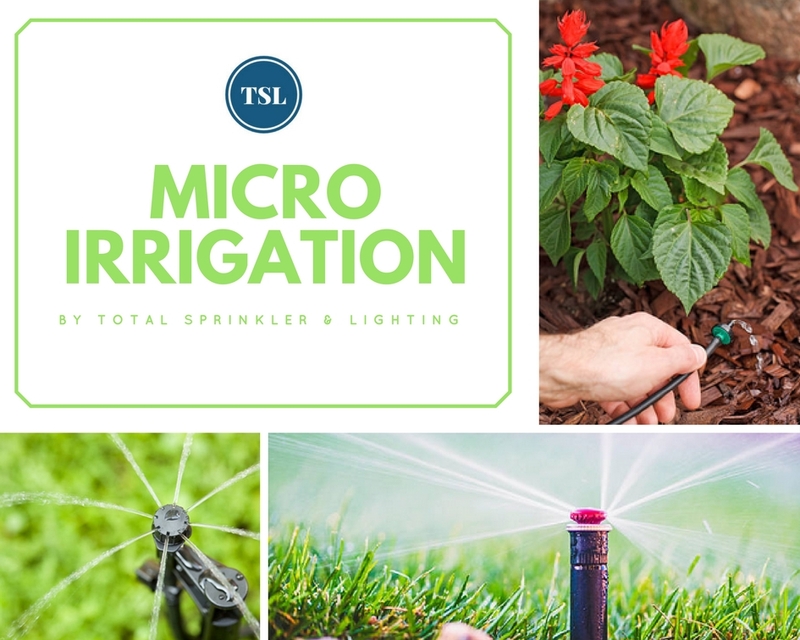 Total Sprinkler & Lighting has been working with micro-irrigation for years. We know which emitters work best for which situations, and whether you want to use drip tubing or micro tubing. Maintaining a micro-irrigation system can be quite easy. Routinely check emitters and hoses for clogging. If your system is set to run automatically, check your timer every now and then to ensure it’s reading properly. Likewise, be sure to adjust your system during heavy rain periods. This system delivers water, albeit slowly, so it can still overwater if allowed to run unchecked. Consider a rain sensor to avoid this. And if you ever have any problems, give us a call. We’re happy to help.